Written from hands-on experience gained from the complete strip-down and rebuild of a Nissan Pathfinder, Haynes can help you understand, care for and repair your Nissan Pathfinder. We do it ourselves to help you do-it-yourself, and whatever your mechanical ability, the practical step-by-step explanations, linked to over 900 photos, will help you get the job done right. Regular servicing and maintenance of your Nissan Pathfinder can help maintain its resale value, save you money, and make it safer to drive. The third-generation Nissan Pathfinder was launched in 2005. It was a large SUV that had either a 4.0-liter V6 gasoline engine, a 2.5-liter four-cylinder turbodiesel or a 5.6-liter gasoline V8. All of the engines drove all four wheels through an automatic transmission. The Pathfinder was facelifted in 2010 with updated styling and more standard equipment. It was also retuned to be more economical. 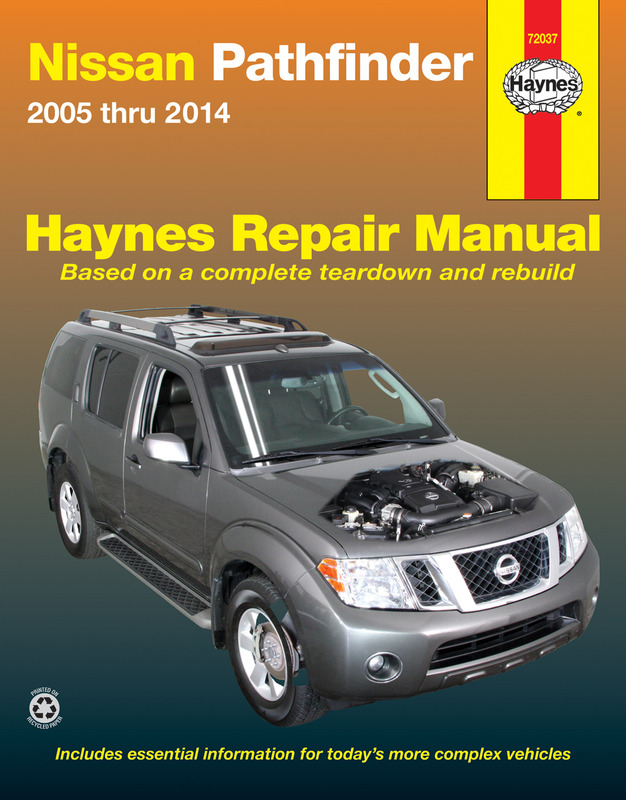 At Haynes, we have an extensive range of Nissan repair manuals and online maintenance procedures available for professional mechanics and DIY car enthusiasts. Our Nissan Pathfinder repair manual makes the ideal companion when you’re undertaking maintenance or repairs on your car.